Essentially an ideal hiking sleeping bag needs to be easy to carry and help you get a great night’s sleep. 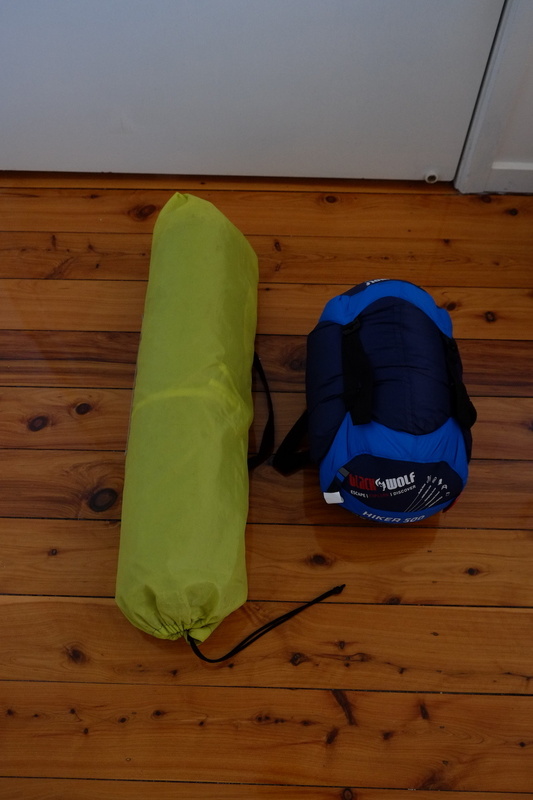 Has the Blackwolf Hiker 500 Sleeping Bag nailed it? Our Explorer Caleb got the chance to find out. Hiking and camping are two of my favourite things in life. They both offer freedom, a sweet release from the busyness of life and provide experiences and memories to treasure forever. However, sometimes these experiences can be negatively impacted by having the wrong equipment (here’s the right equipment) or making some simple mistakes when it comes to setting up camp. One of the biggest issues that hikers and campers experience is an uncomfortable night’s sleep. If you have ever used a low quality sleeping bag or sleeping mat, I have no doubt that you’d agree. A bad night’s sleep is enough to ruin part of your adventure and most certainly set you up for a bad start to your hike. Was the Blackwolf Hiker 500 sleeping bag going to provide an easy fix for these 3 issues? I was fortunate enough to be hit up by Rays and the We Are Explorers team to test and review the Blackwolf Hiker 500 sleeping bag. I have to say, it is easily the best sleeping bag I have ever used. There’s plenty of padding in this bag. The filling inside is 700+ Loft Water Repellent Down so it provides you with warmth and comfort whilst keeping moisture at bay. It’s quite long and somewhat wide so it allows for more breathing room and comfort than tighter hiking bags. I was toasty, but I would still advise having a sleeping mat underneath you to ensure you are sleeping with maximum ease and insulation. The Blackwolf Hiker 500 sleeping bag’s comfort temperature is -2°C, limit is -5°C and extreme temperature is -26°C. 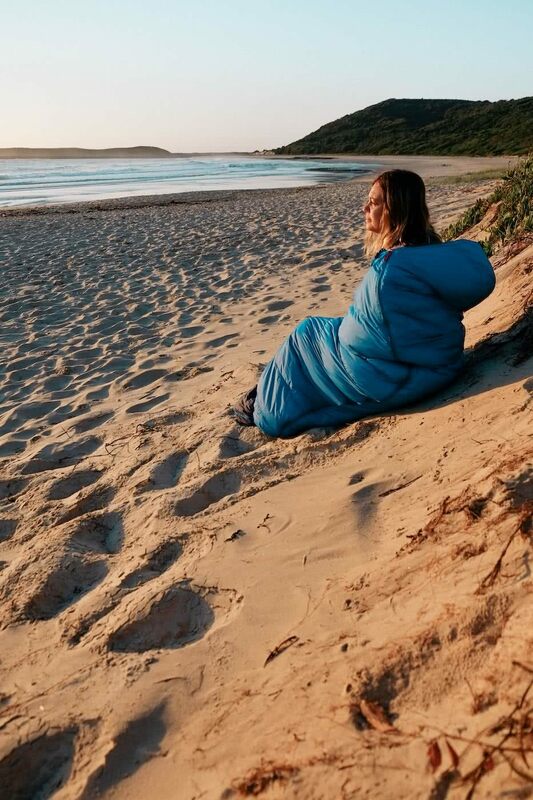 It’s pretty safe to say that in the cold of Australian winter, you’d still probably be more than comfortable in this sleeping bag. You might be thinking that due to these warmth specifications, this bag would not be ideal for a summer hike or camp. However, the zip does come fully undone, allowing for a lot more breathing room on a warm night or use as a doona. For me, the fit of a sleeping bag has always been an issue. I stand at 193cm tall and it is quite often very hard to find a sleeping bag that is long and compact. The bag’s internal size is 220cm x 80cm x 50cm. This means that it will allow ample room for the average human height, whilst also catering for taller people too. 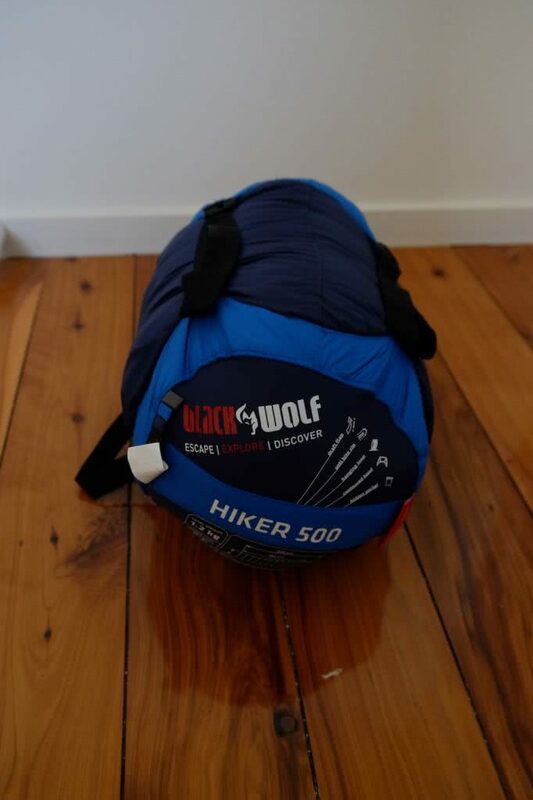 For me this was a big deal and I was very happy with the Blackwolf Hiker 500 sleeping bag for the extra length it allowed. The size of the bag when packed is 32cm x 18cm. Despite how long and wide the bag is when set up, it can be made plenty small enough for a hike and at 1.2kg it’s not a bad weight either. I was definitely happy with this as a sleeping bag can sometimes take up a large amount of room in your pack. Thanks to the down, this bag packed up small whilst still providing heaps of warmth. The bag contains some extra neat features such as an anti-bite zipper guard. This can be one heck of a problem to deal with when zipping yourself in or packing it up; I never encountered the zip biting the fabric. As mentioned, the zip also comes fully undone allowing a lot more breathability on a hot night. The Blackwolf Hiker 500 sleeping bag is also water repellent but not completely water resistant, although the footing section of the bag does contain a water resistant coating, good for when your feet brush wet condensation on the tent in the mornings! The coolest feature that I found was that the zipper glows in the dark! I was very excited by this because I didn’t initially know. This helps for when you’re camping and the lights are out in the tent, you can easily find the zip for midnight missions without a torch. All in all, this sleeping bag is incredibly hard to fault. Seems like Blackwolf knew exactly what they were doing with all components. Comfort is great, the fit is excellent and packing size is on point. I am so pleased with this product that I often use it instead of sheets or a blanket on my bed, but maybe that’s just because I prefer to imagine I’m out camping rather than at home. 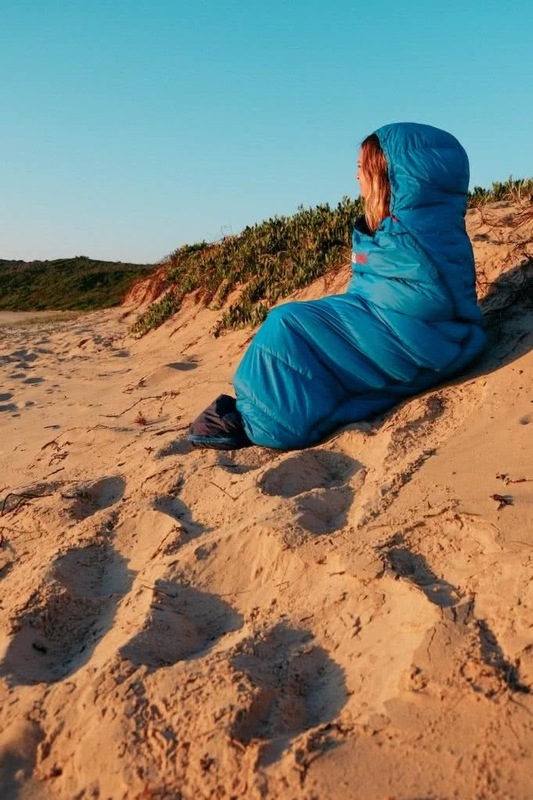 Given this all-round solid performance, the Blackwolf Hiker 500 sleeping bag is definitely worth considering when preparing for your next adventure; whether it be a week-long trek through the bush or an overnight camp on a local mountaintop. *This review was not paid for but the author was allowed to keep the product after the review. A lightweight sleeping bag that’s well priced but won’t leave you freezing on the trail.